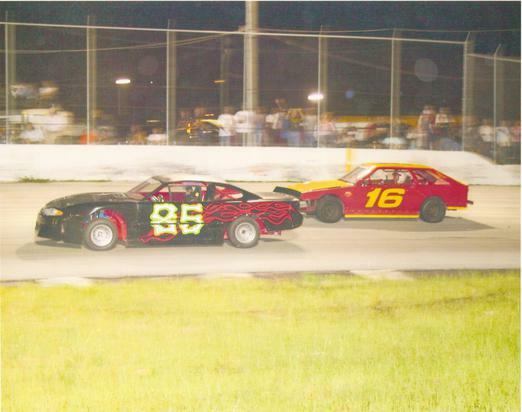 The World Series at New Smyrna! I ran the first 2 nights, but on night #3 I had an appointment with destiny. While passing a car on the back straight, that car drove hard into my right rear corner which turned me head on into the wall. As I coasted to a stop, another car slammed into the passengers side. Anything can be fixed, but this was shortened by several inches on the right side and was sufficiently mangled to not worry about fixing it. A few months later, I found this car on the KARNAC classified. I brought it home late on a Thursday night, then took it out for a try on the next day. It was soon re-numbered to something more familiar. This was one of my most interesting days in racing. Here is the short version of the story. 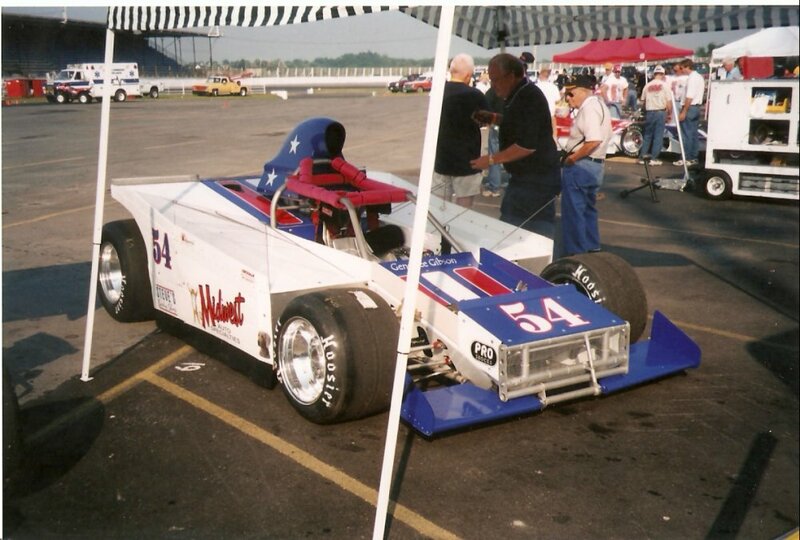 My brother David bought a historic supermodified to restore. It was a very rare 4WD car built by Bill Hite. 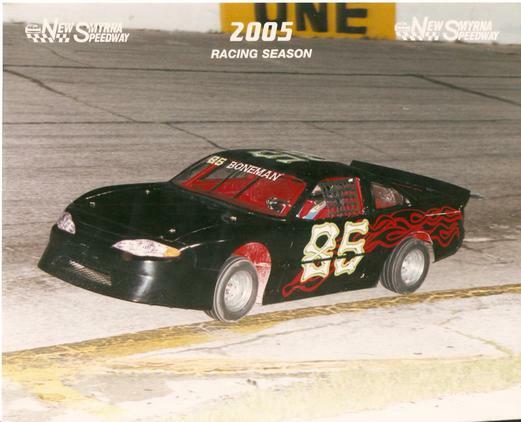 About the time the restoration was complete, Oswego announced it was running a "Open Comp" Run What Ya Brung event in the summer of 2004. 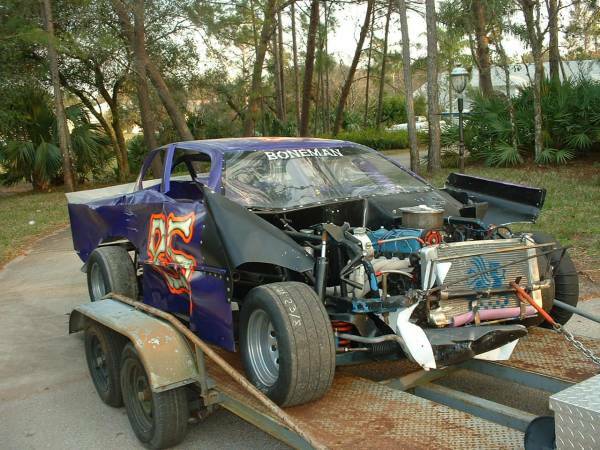 This car was outlawed in the 70's and hadn't raced anywhere since. So David got to work and prepped the car for the Open Comp. race. Gene Lee Gibson drove it, and although the team chased assorted bugs all weekend, the car was very fast. 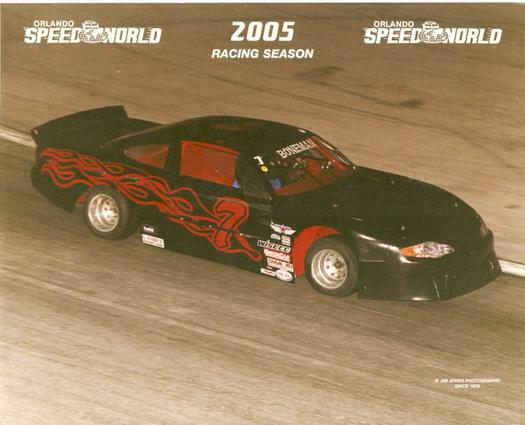 I went up to see the 2005 race and got to work in the pits. This year the antique super was very competitive with the locals and ran with the leaders all night until it ran out of gas with a few laps to go. What a night of racing! 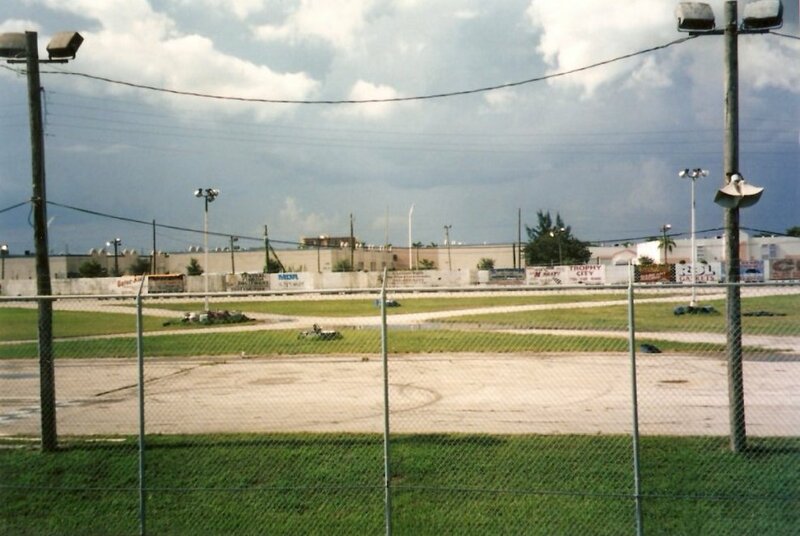 This was the last night of racing for my all-time favorite track, Hialeah Speedway in my home town of Miami. 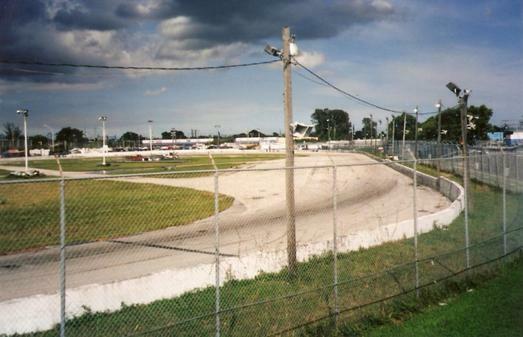 I grew up at this track and was there every Saturday night for years. 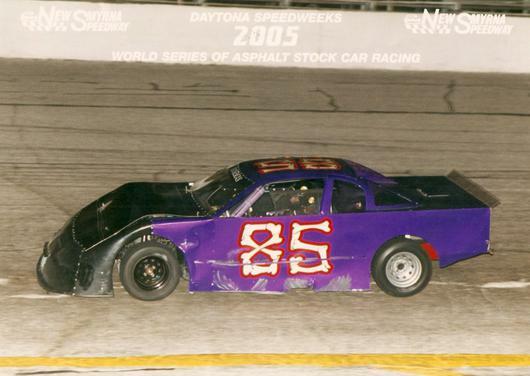 On the last night, I took my mini stock and ran in a 50 lapper. I think I finished 6'th, drag racing to the line with the 5'th place car. It was an amazing night! It had to have been the most busy and crowded night in the tracks 51 year history. These were taken on the afternoon of the last race. Here is the view from "my spot" in the stands. We actually referred to this as "the tower"! 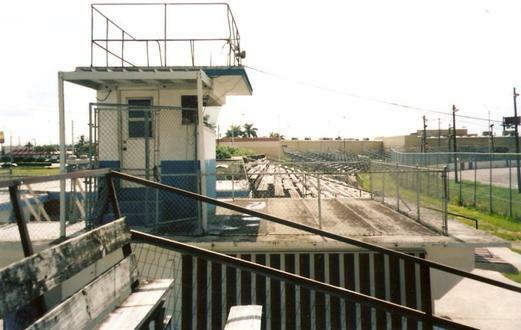 It housed the announcer and the scorers, and was perched on top of the main concession stand. This was the excellent view in turn 4, looking down the front straight. I still miss it every day. 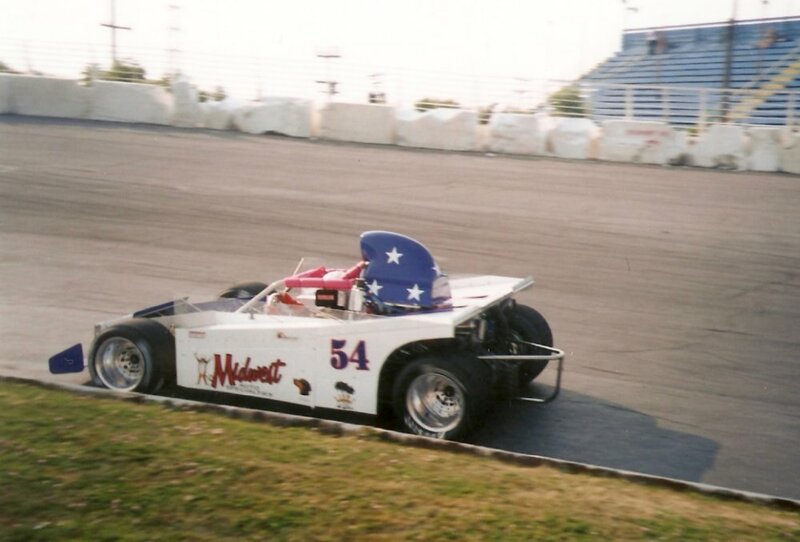 Late in the year, my friend Tim "The Missileman" McPhail ran my 85 one night. 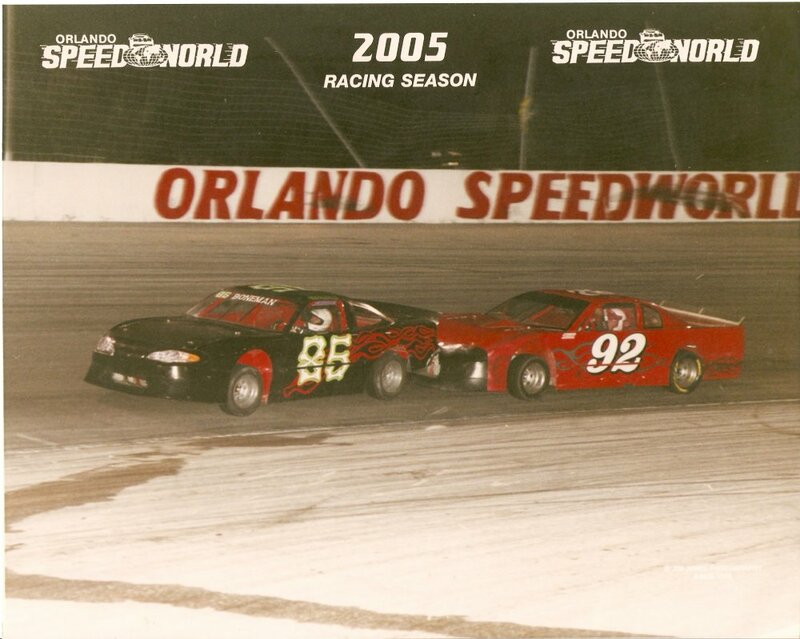 Here is Pedie Allison giving him some help up off the corner. The night ended as Tim was headed for second place, but was crashed in the last corner of the last lap by a goof-ball who spun out, then drove across the track right in front of my car. This week I drove Tim's car. 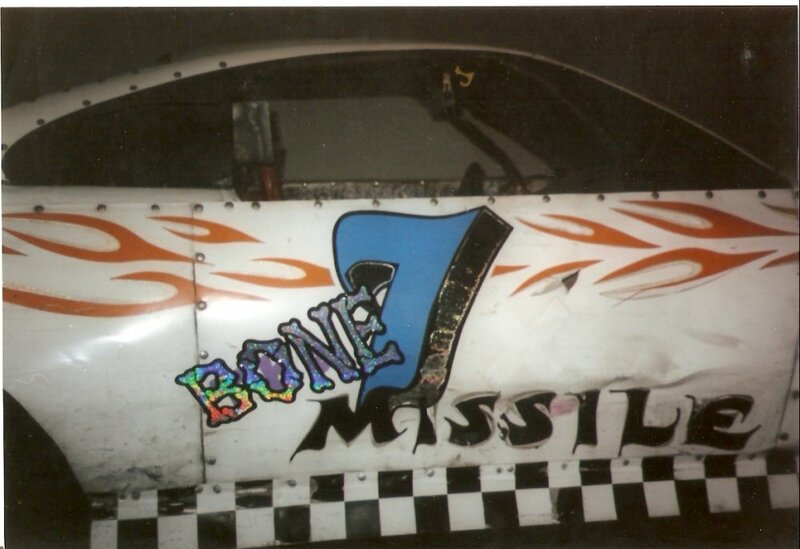 I got a kick out of the "Bone Missile!"